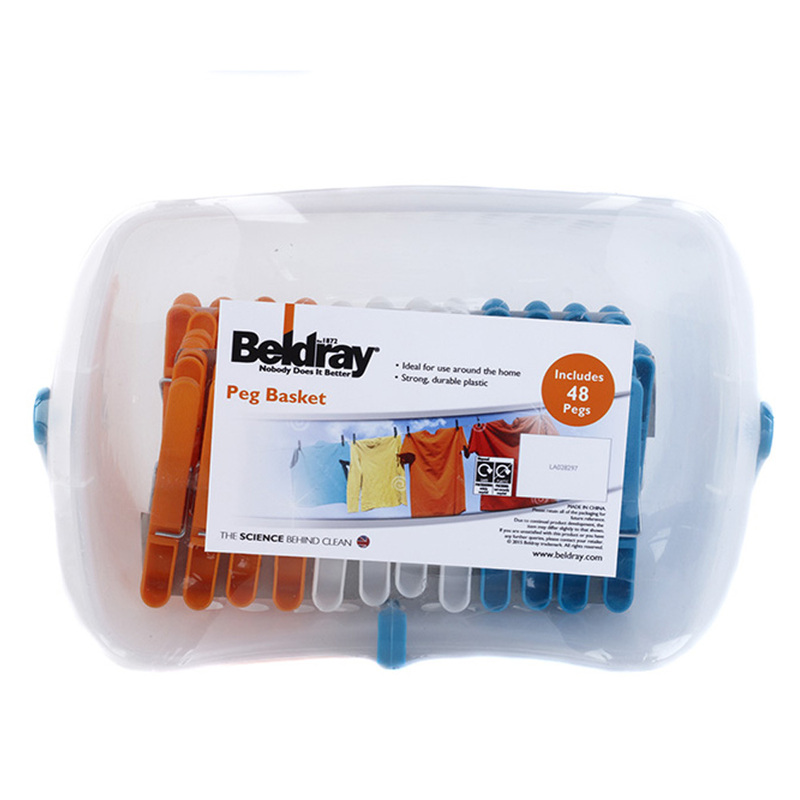 Brighten up your washing line with these fabulous Beldray Ultra Grip Pegs. The pack includes bright, vibrant pegs making them impossible to misplace. With an ergonomic ultra grip design made from durable rust and moisture resistant plastic, these superior quality pegs are more effective and efficient than traditional wooden styles. An essential in every home, the pegs are built with superb spring strength and can hold heavy items of clothing, keeping a firm grip even on the windiest days. Revitalize your washing line with these fantastic Beldray Pegs, including 48 individual pegs with unique ultra grip designs. Resistant to rust and moisture, the ultra grip pegs will securely hold onto laundry while avoiding stains or imprints on clothes. Each peg measures at 7.5 cm in length and will securely hold even heavy items of clothing, enduring extreme windy weather. The metal springs are extra durable as well as being exceptionally flexible, meaning you can peg up your washing in half the time. 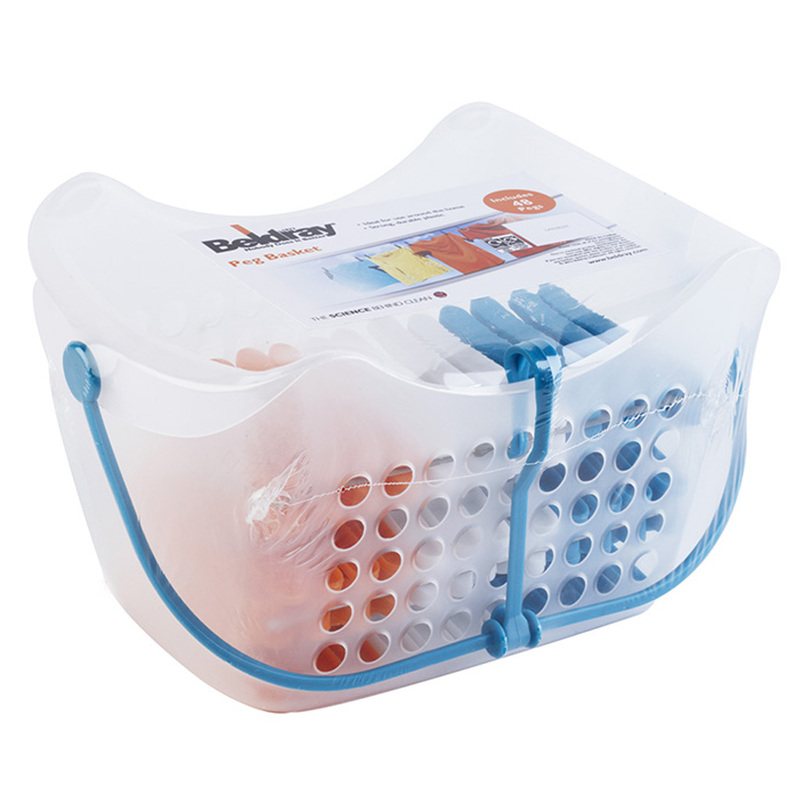 The pegs come with a convenient durable basket that features a handy hanging hook for simple storage and easy accessibility.